A: We encourage you, guide you and support you to work on each chakra on a weekly basis, starting from your root chakra. We give you the guidelines, online support through chat lines, WhatsApp based assistance, relevant guided meditation to be practiced for chakra enhancement, Right breathing exercises, physical exercises, yoga exercises and dance steps to be practiced on your own. You will need at least 1 hour a day for self-help practices directed by us. You will also avail online group guidance, healing guidance and support from a group of experts. ​Q: What if I am not comfortable with online training? A: While filling up the form, kindly let us know the area of your residence. If we have an expert in your town, we will organise the training program for you in your town, subject to the availability. 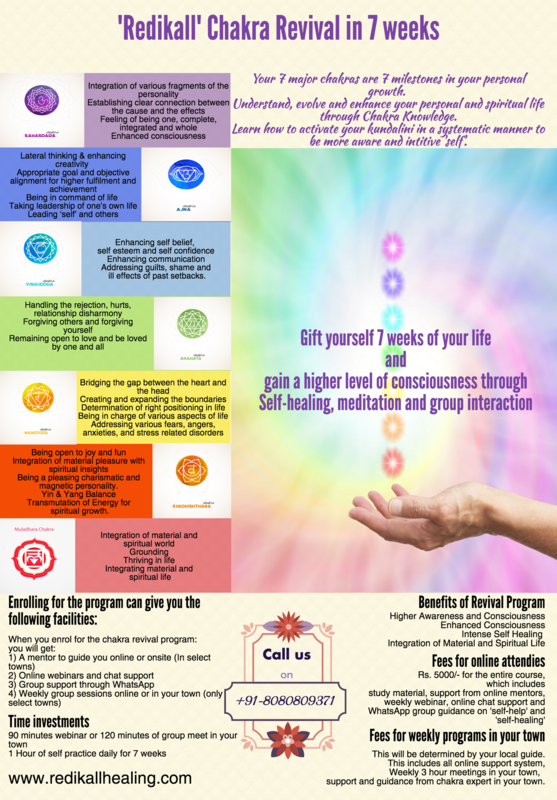 The fees can be paid to the Chakra Expert directly. Please note that the local training fees would be decided by the expert in your town. Most of the facilities will also be provided to you online, even if you are directly being mentored by the chakra expert in your town. 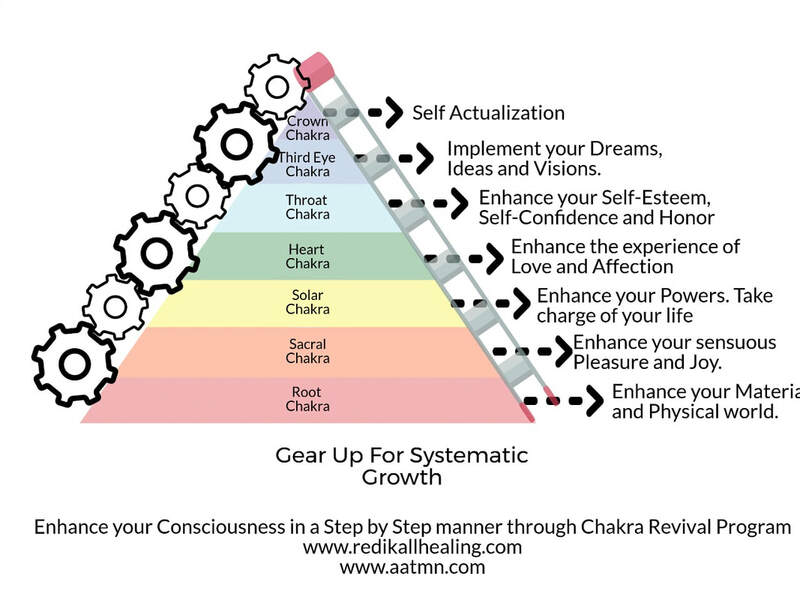 Q: What if I miss the online meet or local group meet with my chakra expert? A: Same Program will be conducted onsite as well as onsite. If you miss onsite meeting, you can receive a synopsis of the program through your mentor. You can also attend online webinar, which will be conducted several times of the week at different time to suit people from various geographical location as well as to suit people from various profession. You can be sure that the study material will reach you even if you happen to skip a meet, online or onsite. Q: What if I am not very comfortable with English Interaction? A: Right now the program is available only in English. Please let us know the preferred language in the form that you fill up. We will find out the Chakra expert in your town as well as in your language. Q: What if I have any more query? Whom should I ask? A: Do mention your query as a comment in the form mentioned below. We will answer you as soon as we can. Also check for your email. You can also leave a voice message on +918080809371 for your query and we will respond soon. Fill up this number if you would like to be included in a spam free group or would like to be intimated for upcoming chakra related training program or quiz or personal growth program through WhatsApp. You can unsubscribe at any time if you wish to opt out. If you have a special request, feedback, questions or suggestion, feel free to let us know. We will do our best to ensure you get the best through this wonderful program designed and delivered with love and care.